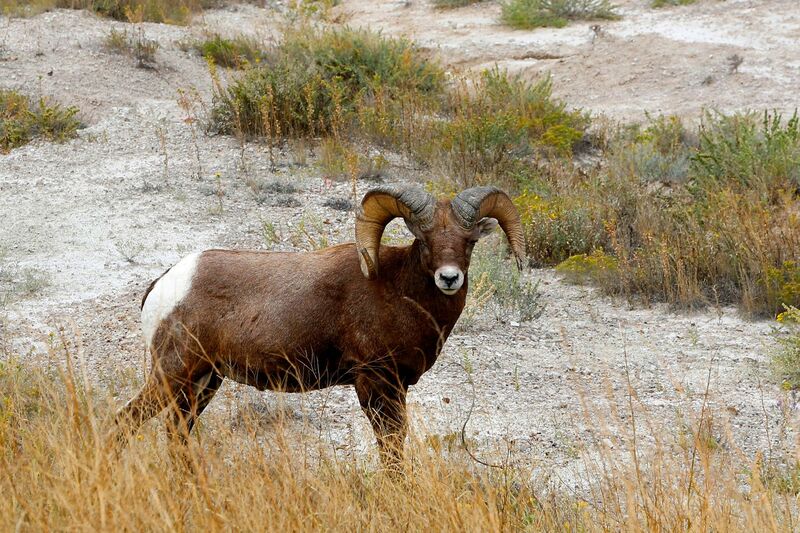 We saw these Bighorn sheep at Badlands in the USA. These horns can weigh up to 30 lb, while the sheep themselves weigh up to 300 lb so I was not keen to approach them. Luckily, this one seemed to be quite interested in us and gave me some time to get in a few shots before lots of other people arrived and scared them off.